A lingering scent can be that essential finishing touch to a simple home change or a gorgeous interior design project. My dad's friend Penny is an interior designer, and she informed me that whenever she completes an interior design project for a client she always lights a few of her signature scented candles before she leaves (if they are home of course). She also informed me that creating a mood is not just about the colors on your wall, but attention to small details such as candles. 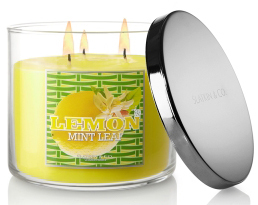 A signature scent is a candle that is not used seasonally in your home, but year round. - so how do you get that scent? Considering this when choosing a home scent. The scent should compliment your décor. A fresh pine scent does not make sense in a beach house, however a Frasier Fur scent does make sense in an up north cabin. A modern space is clean so accentuate with clean fragrance. If your house has earth tones go for a more earthy scent such as vanilla or a fruit and spice mixture. Universally pleasing smell. 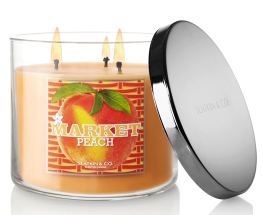 Fresh citrus and fruity candles are a great option that everyone can enjoy. Other options to candles. 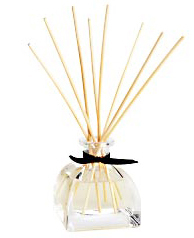 Buy reed diffusers! Reeds will scent up to a three foot radius which means you can have a different fragrance in each room of your home. 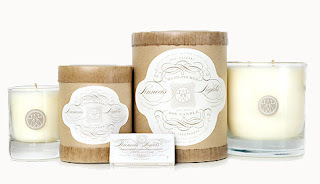 One last thing I just discovered Linnea's Lights Hand Poured Natural Soy Candles. The candles burn so clean, and they come in very unique scents. One of these candles would definitely make a great signature scent if you are in need of one. So tell me what is your signature scent? I've worn my perfume for the last 5 years+ and it's Euphoria by CK. For the home, I like the smell of Lavender. I'm actually looking to buy more scented candles and stuff to jazz up our guest bedroom and bathroom! I always go for the apple cinammon scent in my house :) Sometimes in the summer though I go for the mango scent! I love just about anything from Votivo. Mrs. Meyer's Lemon Verbena and Lavender Pine are refreshing, too! Red Currant or pomegranate would have to be my signature scents and as mentioned above, Votivos are WONDERFUL. I love love candles. . . especially grapefruit/lemony scents for the home. My fav luxe candles are probably Jo Malone candles. I love the Reed diffusers! my Stepmom has them and everytime I go to their house I just bask in the essence. I love candles too. I have tea lights all over but those don't do much for smell. I buy the big yankee candle ones for the bathroom but keep them hidden when they're not in use as the big label is kind of an eye sore. Everyone always suggest incense for smell too but to me, that just reminds me of college so I never want to go that route. Great ideas! I love fresh and clean scents like cotton. I usually like linen, cotton or vanilla. They all smell fresh and home-y! 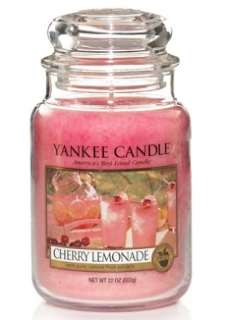 I bet that cherry lemonade candle smells delicious. I don't think I have a signature scent, but I love anything candle, scented oils, etc....If it smells good to me I am taking it home. I'm a fan of citrus scents and I prefer the reed diffusers cause I have abit of a fear of candles as a fire hazard. I'm a yankee candle aholic. housing and even Urban-Rural Development ( MOHURD ) position causes the particular system hasn't already performed, you will discover predominantly a few: is caused by tech reasons, the area home data asymmetry between your small sample service, producing 30 area system schedule; the other one 1, a very powerful, is definitely vested focus crew as a way to give protection to their own privateness plus house results in a few problems, rather than happy to definitely work along with the completing typically the 30 metropolis multi-level. Ppos often have higher ability to resist numerous. In .